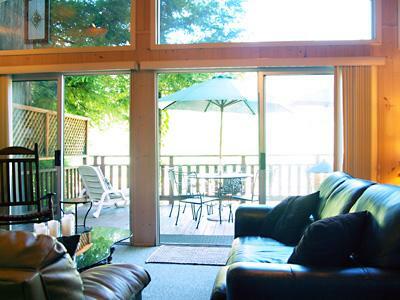 Villa Eileen, perched over its own semi-private beach, is great for families, friends and all barbecue enthusiasts! 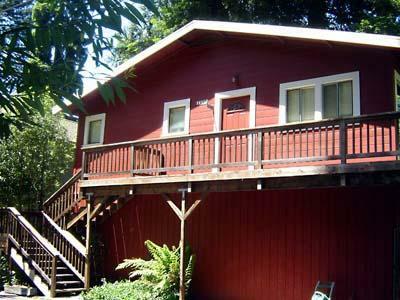 Available May through October -- This 3 bedroom, 2 bath riverfront vacation rental features a generous deck overlooking the Russian River, a spacious cement patio and barbecue area, a play yard and stairs leading down to a huge private neighborhood sandy beach. 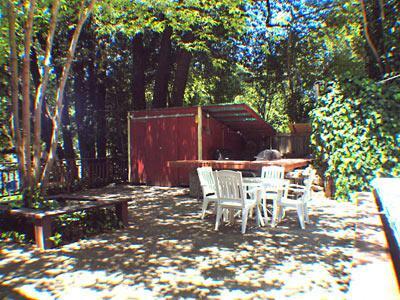 The deck, patio and play yard are all separately gated and fenced. 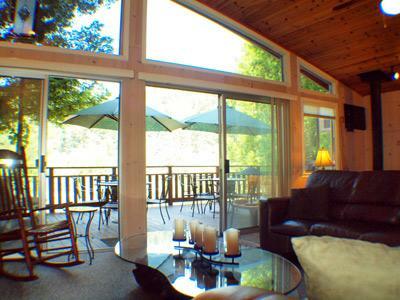 The cozy living room faces the river and has large windows, an open beam ceiling, woodstove, old-fashioned bar, mini-fridge and sliding glass doors leading to the deck. 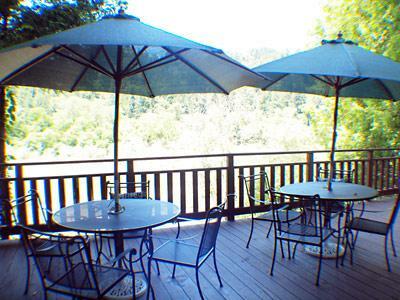 The deck offers outdoor dining, a propane barbecue and river views. 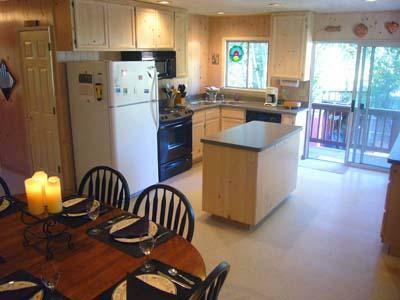 In the fully equipped kitchen there is plenty of counter space for cooking. 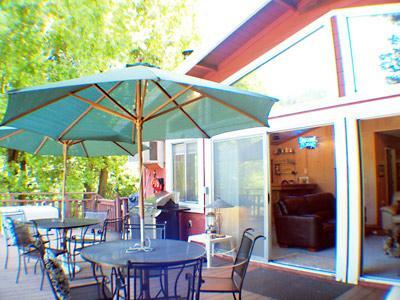 Sliding glass doors open to the wrap-around deck that overlooks the patio. 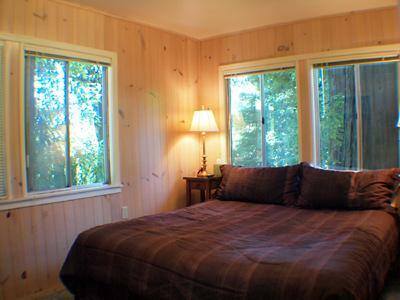 The master bedroom has a King bed and the second and third bedrooms (at one time one large dorm-style bedroom) are situated next to each other and can sleep 6 people between them. 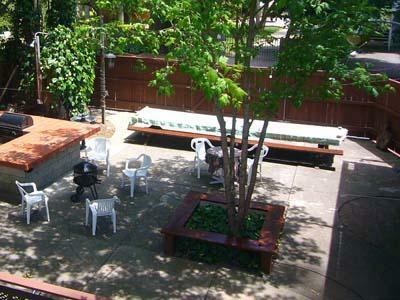 The cement patio and barbecue area offers a choice of barbecue grills and a large tile counter. 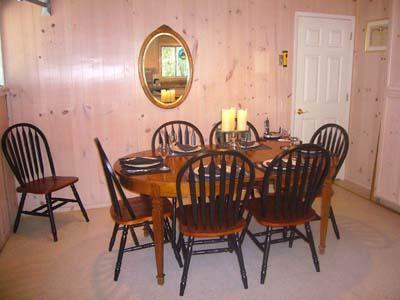 There is also an extra large picnic table perfect for those outdoor summer dinners. 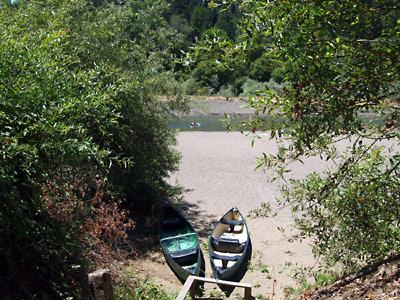 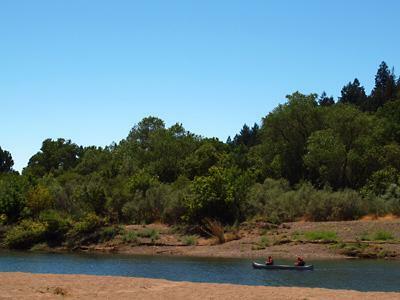 Two canoes are included (available mid June - mid September only) for scenic rides along the river. 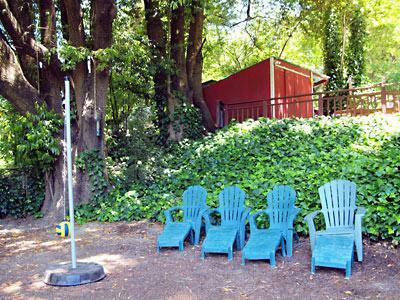 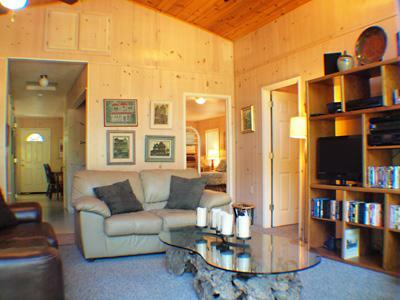 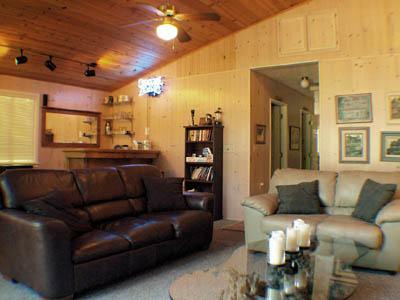 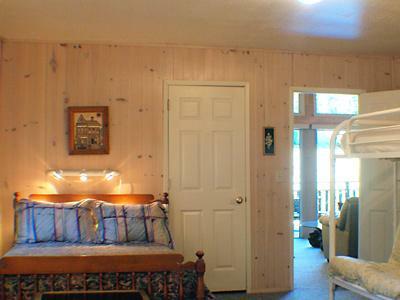 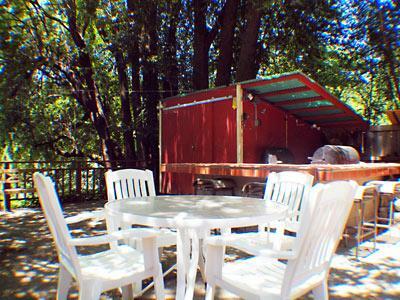 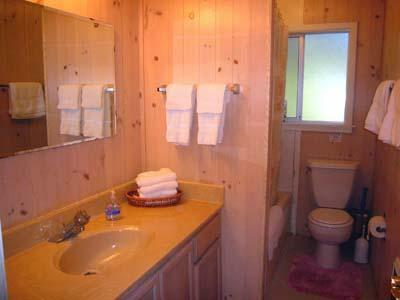 Villa Eileen is located in Guerneville and is walking distance to public tennis courts and a playground. 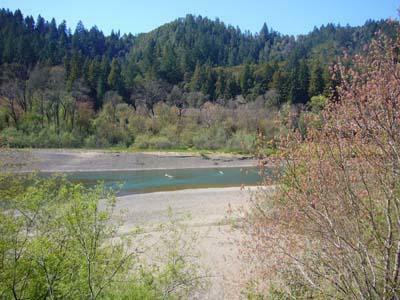 The home is a short drive to many Russian River Valley wineries and the Sonoma Coast (Jenner and Bodega Bay). 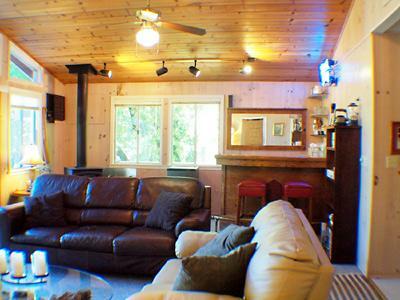 HEAT SOURCE: Electric Heat, woodstove (no firewood or kindling provided). 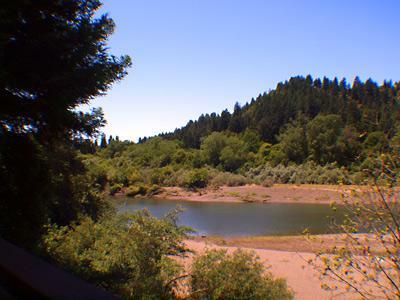 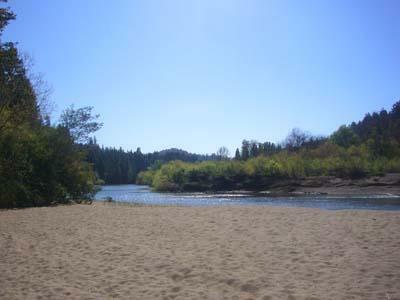 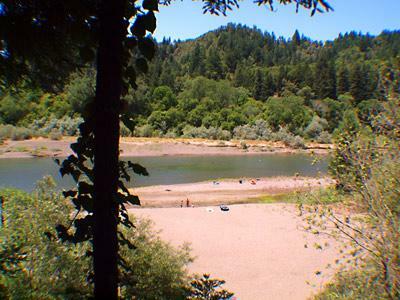 LOCATION: Riverfront, beach, quiet neighborhood, redwoods, one mile to playground and public tennis courts. 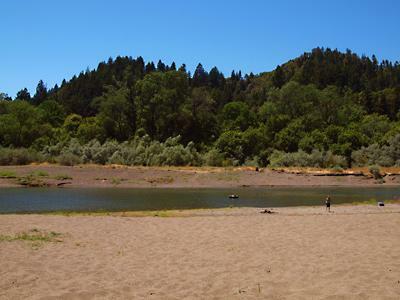 Just over one mile to downtown Guerneville. 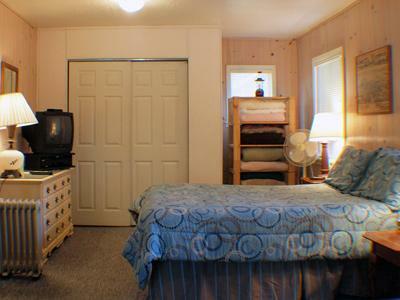 ADDITIONAL AMENITIES: Air conditioning unit in the living room, horseshoes, kid play area with thetherball, blu-ray player, outdoor shower with both hot and cold water.